Hey there. Welcome to a new weekly challenge at Little Red Wagon. 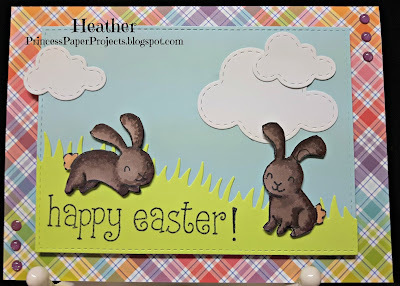 Our hostess this week is Brenda and her theme is HIPPITY HOP ~ she wants to see something that hops on your project. So it's your turn. Head on over to Little Red Wagon, check out the amazing inspiration from the girlfriends and link up a hopping project of your own. Can't wait to see all of the fun entries. They do look very chocolatey! And cute too! Fab card, Heather. Love these little chocolate bunnies! Darling card, Heather. This is such a sweet card! 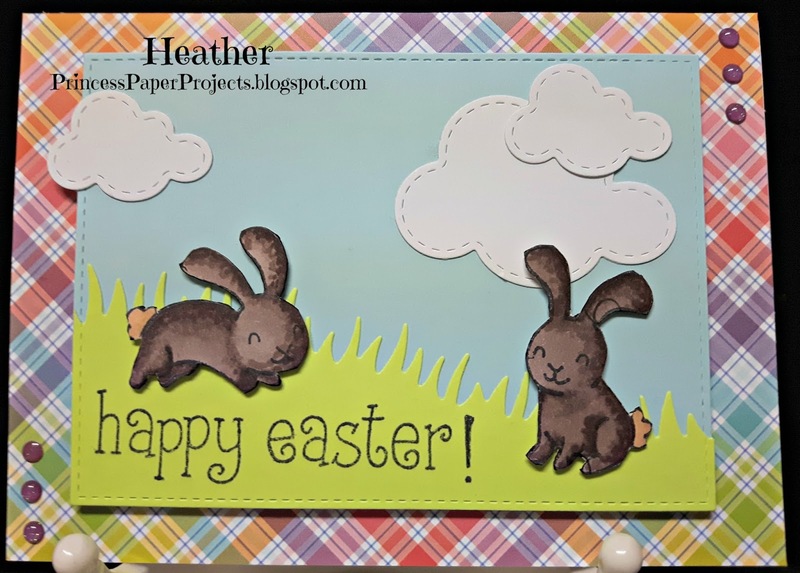 Your bunnies look so happy - and just like chocolate, as your friend said! !